Arawak Cement Company Limited‘s core business is the manufacture of Portland Limestone Cement. The company produces gray cement for the local and export market. The product is supplied in paper sacks, jumbo bags and in bulk. 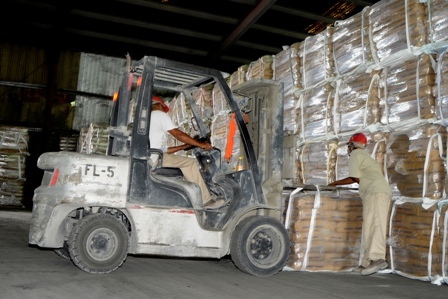 Arawak Eco-Plus, Portland Limestone Cement (PLC) being stacked for sale. 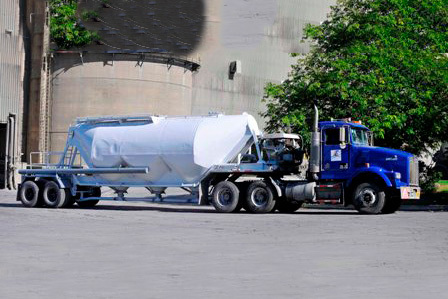 Arawak Cement’s Bulk Cement Truck leaving the plant in St. Lucy. The company operates a fleet of vehicles for distribution of the product to the local market.